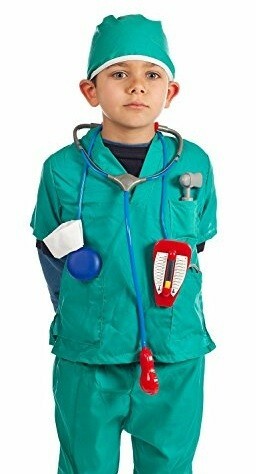 Get on your scrubs: it's time to save a life! 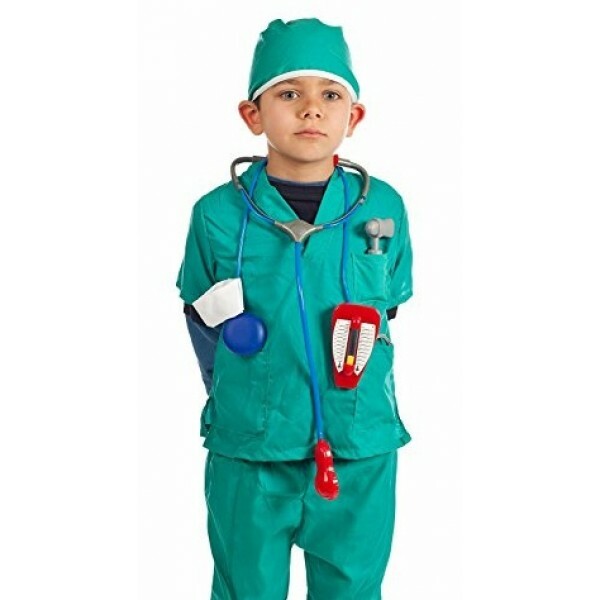 This surgeon role play dress up set allows your child to explore the exciting pretend experiences of being a doctor or surgeon. 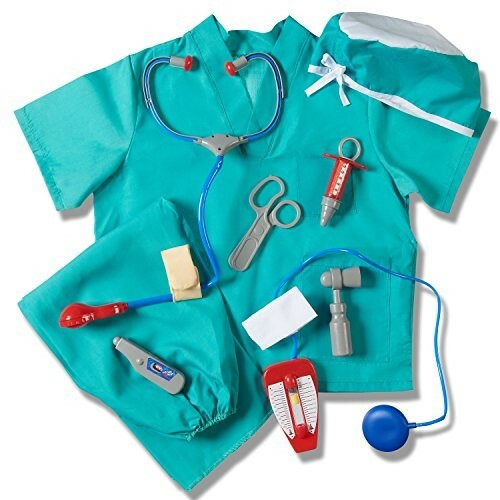 The set includes a realistic cotton shirt, pants, and hat, as well as doctor supplies like a stethoscope, otoscope, thermometer, blood pressure gauge, scissors, syringe, and bandage.